Is your wardrobe a complete mess? Are you due for a major clean out? Do you only wear a small portion of your wardrobe and forget what's in there? Are you moving house and want a fresh start? 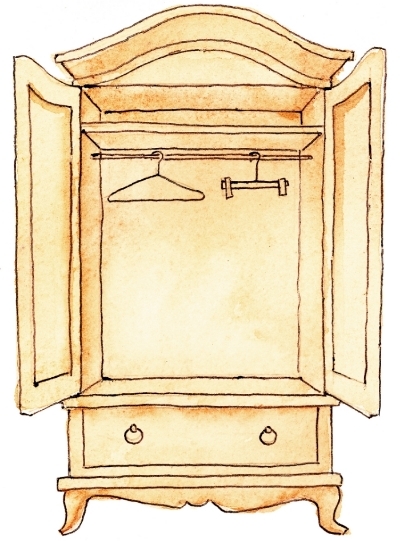 It is time for a wardrobe makeover. In this appointment I will do a major clean up. I will work out what items to keep and what to purge. In the process you will learn how to edit your wardrobe. You will receive matching coat hangers and have everything folded, hung and boxed so that you can see what you have in an organised and functional way. In a wardrobe makeover consultation, we will discuss your personal fashion needs, so that you can learn new ways of how to wear your special pieces. Let me get you organised so that you can shop your closet, be able to find things easily and make getting dressed each morning a pleasure. Sessions are a minimum of 2 hours. ** Gift Vouchers - Not sure what to give that special someone - Mum, partner, sister, brother?? How about a Closette gift voucher? - The gift that keeps on giving. Service can be chosen by the recipient.